We designed content sites for The Branch Libraries of The New York Public Library, and created and led a training program that changed the way The Library conceived, designed, and executed its sites. The training program covered content development, usability, and web standards. Perhaps most significantly, we collaborated with digital leadership at The Library to create and share an online style guide, years before corporations and government organizations were doing it. To help The Library reach as many of its patrons as possible, design projects emphasized clear architecture, web accessibility, and full compliance with XHTML and CSS. We also consulted on content to ensure that text “scanned,” and could be understood by non-native English speakers. 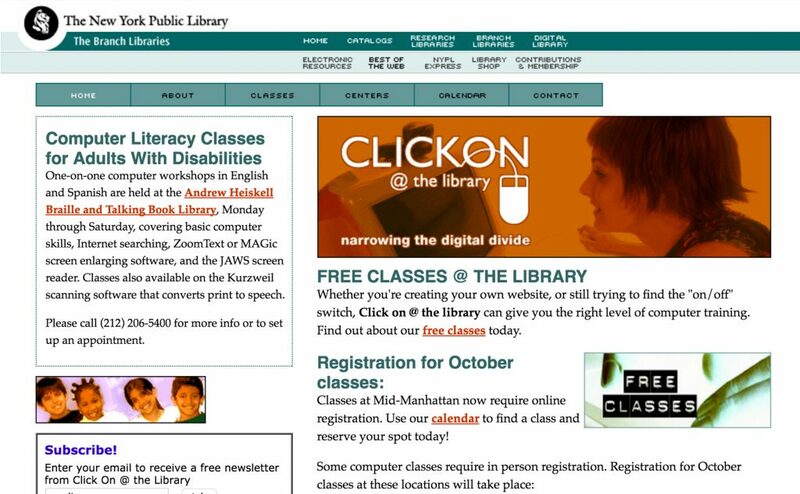 ClickOn @ The Library, an access and outreach program designed to narrow the Digital Divide, typified and was among the most successful of these projects. Within weeks of that site’s launch, the Library’s free classes were filled to capacity. 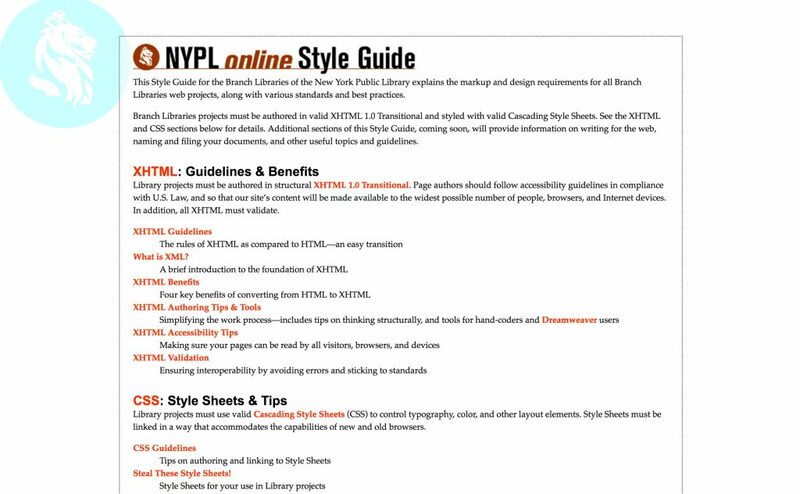 At the conclusion of the training program, we collaborated with digital leadership at The New York Public Library to author and produce the NYPL Style Guide, an online tutorial that taught web designers and developers how to work with XHTML and CSS. 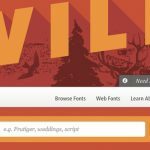 Although the Style Guide was created to help shape ongoing Library web development projects, it was also widely read and used as an educational tool by thousands of non-Library designers, developers, and students eager for information on semantic markup and best practices in standards-based HTML. As the Style Guide was published prior to Designing With Web Standards , it took on outsized importance to what we now call the front-end design community. It served as a resource that helped developers, designers, and content specialists greatly improve and future-proof their websites. But that was only part of its influence. 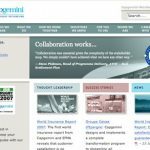 Our client rather presciently understood that sharing The Library’s internal resources with the web community was another way of fulfilling its overarching mission to bring knowledge to all, regardless of location or circumstance. By almost 15 years, this collaborative effort preceded (and is the spiritual godfather of) the kind of style-guide sharing now performed at larger scale by forward-thinking organizations like GOV.UK, US Government, Starbucks, and Google. Strategy; research; writing; design; front-end development; publicity & promotion.